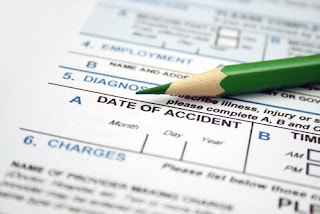 How Do Accident Documentation Apps Work? The incident tracking apps are designed to help businesses document accidents quickly and easily. Typically, the apps are menu-driven to capture key information that would normally be on a form. Users are prompted to provide specific details such as where the accident happened (office, entrance, storage area, etc.) and go on to offer more choices that meet typical insurance queries. The benefit, of course, is that the sooner everything is documented, the less likely anything is left to chance or faulty memories. Unfortunately, accidents can happen at even the most safety-conscious worksite. For this reason, it's important to ensure they are properly and accurately reported for workers' comp purposes. Poor claims management can result in increases in workers' comp premiums. If a claim gets out of control, it could affect the total payout from the business. Moreover, the experience modification factor compares how similar businesses manage and process workers' comp experiences as reflected through payroll and claim dollars. Businesses that manage their process well get better insurance rates. Work-related fatalities must now be reported within eight hours. Employers can report incidents during normal business hours to the nearest OSHA area office or OSHA's 24-hour hotline at 1-800-321-OSHA (6742). OSHA is developing an electronic reporting form that reportedly will be available on its website, but a release date has not yet been announced. Browse Days Without Injury signs at ComplianceSigns.com.